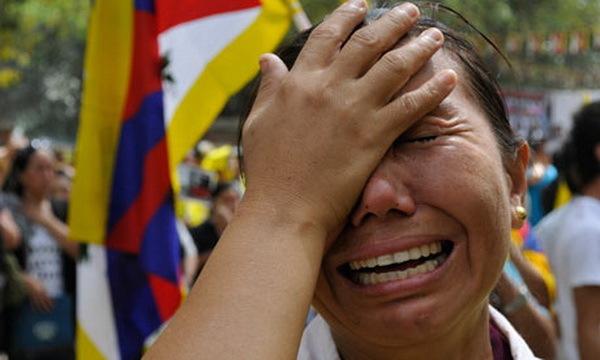 Why are Tibetans burning themselves to death? Jamphel Yeshi, the 27-year-old now close to death in an Indian hospital after setting himself on fire in Delhi, is in many ways typical of the 30 or so Tibetans who have over the past 13 months committed self-immolation. Like many of them, he is in his 20s and comes from the eastern parts of the historical area of Tibet, outside the current “Tibetan Autonomous Region”. But unlike most of them, he is a layman, not a monk or nun, and he was already in exile. Three other recent cases offer further insights into those committing self-immolation, but there is no single profile to unite them: Tsering Kyi was a20-year-old school student of nomad origins from a small village near the town of Machu in Gansu province. Jamyang Palden was a 34-year-old monk at the monastery in Rebkong or Tongren county, also in the eastern Tibetan zone. Sonam Dhargyal was a 44-year-old farmer from Rebkong. Each of them followed their own path to self-immolation. Kyi and Palden are described by relatives and friends as bright, confident and outgoing. Palden was hearty and funny, according to friends, as well as being a big fan of traditional wrestling. Kyi too was described as popular and lively. Dhargyal in contrast comes across as more troubled. Taciturn and withdrawn, he was a deeply religious “man of few words”, according to a teacher near Dharamasala who knew him well. Dhargyal was “far from rich”, one acquaintance said, and struggled to provide for a disabled 18-year-old son and a seriously ill wife. As with others who become involved in extreme acts of political or religious violence, searching for personal traits or clues in their lifestyle to explain their actions may be the wrong approach. Mapping the places where the incidents have occurred – almost all within a short distance from the self-immolators’ homes – may be more helpful. What then becomes clear is how these events have largely clustered in a few specific areas. This can in part be attributed to environmental factors such as where repression by the authorities has been particularly acute and also where a marginally more permissive regime allows freer access to the internet and thus higher levels of awareness of protest elsewhere. Zones where nomad populations have been resettled in urban centres in large numbers also feature strongly, as do places where there have been newly intensified attempts to regulate religious and cultural life. But the most significant factor may at first glance be harder to perceive. Tsering Kyi was at a specific school which had become a key centre of unrest. Jamphel Yeshi was living in the highly politicised exile community in Delhi and was a committed activist. The monastery which was home to Palden is also a major centre of protest and has been for decades. It is closely linked to the Kirti monastery which alone has been the largest single source of the self-immolators. Dhargyal lived close to Palden’s monastery and may even have been a friend of the monk. As those studying other forms of extremist spectacular violence have found, such acts are part of a culture that becomes established in a given institution or community, often on a very small scale. A momentum is generated leading to the spread of that particular form of behaviour, encouraged by the support of peers, elders and others. The local reaction to each death, rather than the international reaction, either encourages or discourages others. Endorsement and example flows through social networks. For the moment, the self-immolators are seen as tragic but admirable martyrs worthy of the pride of their friends and family. There are likely to be many more of them.